Our Annual Customer Appreciation Sale starts April 22nd and lasts until May 11. Come take advantage of the 15% off all chemicals and stock up for the summer! Need a new hot tub cover? Order one within the sale date and get 10% Off! Stop in or call and ask about the sales on ALL of our pools and spas. While you’re in be sure to enter into our Saratoga B15 Hot Tub Giveaway! Finger Lakes Pools & Spas has been established and in business for over 20 years in Canandaigua NY. We offer a wide range of pools, Saratoga Spas, Strong Spas and products for your pool and spa needs. We are a proud dealer of Bioguard, an industry leader in high quality pool & spa maintenance chemicals. Our expertise in chemical maintenance, combined with our FREE computerized water testing, makes maintaining your pool or spa as easy as possible when you choose Finger Lakes as your local pool store. Proudly serving, Canandaigua, Victor, Penn Yan, Geneva, Naples, Bloomfield, Honeoye, Seneca Falls, Bristol, Springwater, Clifton Springs, and surrounding communities. Choosing a maintenance program for your pool & spa can be confusing. For starters, we offer FREE computerized water testing to help balance the chemistry of your pool/ spa water. Our machine allows us to give you a detailed print-out with exact measurements, and step by step instruction to balance your water. With our premier line of Bioguard products, you will find our weekly care plan practical, easy to learn, and affordable. Our current demo hot tub is the Saratoga G50. Check out our Vuly Trampolines! 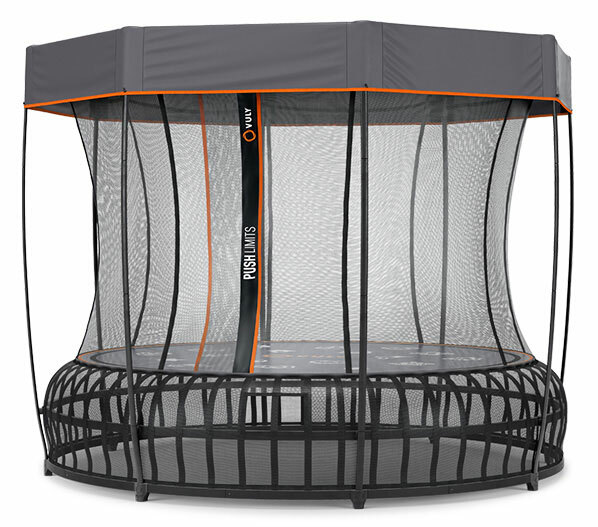 We now sell top of the line Vuly Trampolines and will soon have our working demo built and ready to be tried out.